My photography in Arta Gallery’s Light of Winter exhibition received a nice mention in an article by Mandi Hargrave that appears in today’s Examiner. 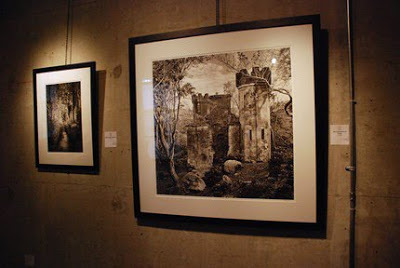 When you walk through the doors to the gallery, Bret Culp’s black and white photo of an old castle commands your attention. Appropriately titled, ‘The Transience of Power’ captures your gaze and locks you in. Whether it’s the size of the photo or its overall beauty, something about it won’t let you look away until you’ve fully taken in its natural charm. Click here to be taken to the full article.